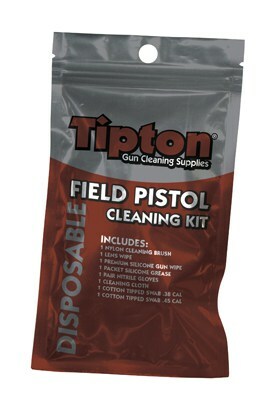 Whether you are an avid shooter, or a once a year shooter, the Tipton Field Handgun Cleaning Kit is for you. Clean pistol calibers ranging from .380-.45 and then easily store the used product right back into the resealable packaging. 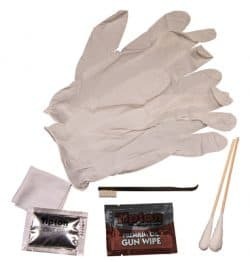 This kit is perfect for those moments when an unexpected cleaning situation arises, but can also be utilized for once a year cleaning of a firearm. No matter the situation, this compact package of essentials is what every shooter needs.